The crockpot: one of the best inventions known to home cooks. A pot that will prepare you a meal while you are away from home. 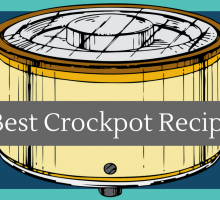 Most people think that the crockpot is only used for soups, chili, and stews, but there is so much more it can do. A crockpot will cook potatoes, roast any type of meat you desire, and even bake a cake! The possibilities are endless with the things you can make in a crockpot. Soon enough you will forget why you wanted a stove in the first place! Breakfast – A “Veggie Omelet” filling you with all the right things to start your day! Lunch – Overnight “Lemon Pesto Chicken” meal that is freezer friendly for leftovers! Dinner – Delicious “Chicken Burrito Bowls” that will leave you satisfied all night long! A convection/steam oven is available to cook your food faster at higher temperatures. With convection ovens, it is important to remember that lowering the temperature for quickly cooked foods is better. Be more diligent of checking on your food when cooking in a convection oven to ensure you don’t burn it. One of the best things about these ovens is that it cooks your food… quick! Say goodbye to hours of waiting and hello to fast food (not the McDonalds kind). Breakfast – A “Lemon Tea Loaf” that needs the convection setting to make it better. Lunch – Feeling like a snack? Homemade “Potato Wedges” to satisfy your cravings! Dinner – On a single pan you can cook “Salmon with Brussel Sprouts and Broccoli” fast! Don’t believe the lie that because you only have a microwave you are forced to eat pre-packaged meals and microwave popcorn. Microwaves are simply a different version of an stove, using radio waves instead of heat, but it is able to make just as much! Not all microwave meals have to be filled with carbs, preservatives, and sugars. If you find yourself with only a microwave you can still have a livable meal plan without worrying about your weight! On the plus side, you can always reheat your leftovers in a matter of seconds! Dinner – Enjoy a healthy and delicious “Parmesan and Herb Spaghetti Squash” side with your meal! Another substitute you can use for a stove is a cooktop (also known as a portable burner). These may not be as common as a microwave in Canada, but you can order them easily on Amazon! Cooktops are similar to the burners you used in high school chemistry, except now you can use them to cook your food! These wonderful things let you to make anything that you would normally make in a pan, as well as everything else! Lunch – “Corned Beef” anyone? Use your portable burner to make a meaty lunch for yourself! Dinner – Get gourmet with this “White Wine Braised Chicken and Vegetables” recipe! It may seem strange, but this appliance can be used to substitute a stove! You may not be able to make soup, but the various meals that a waffle-maker can do will amaze you. Of course, you can expect all of your meals to have a waffle patter on it, it works for anything needing pressed heat. 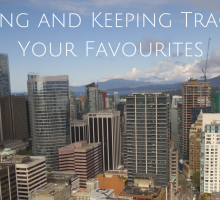 These meals can include eggs, panini sandwiches, bacon, brownies, and of course waffles! Don’t let the size and name of this appliance stop you from cooking up a delicious meal without the help of a stove! Breakfast: Get away from typical breakfast waffles and make “Breakfast Quesadillas” instead! 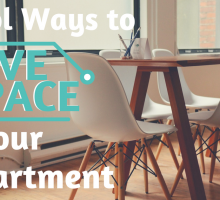 Just because a rental is missing a stove doesn’t mean that you can’t live a delicious lifestyle! Let your other appliances take over. The more you use your imagination, the better the meals you can create! 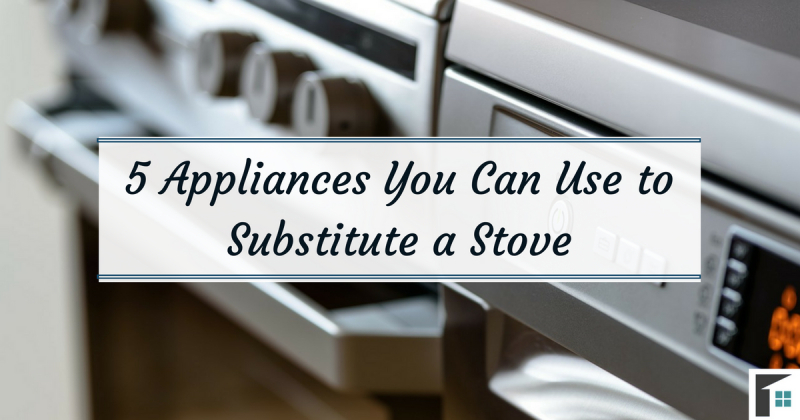 Why use a stove when you have these amazing appliances that will work just as well? Who knows, you may never want to go back!